A practical technique that complements your personality and workflow style really can boost your productivity. On the other hand, the search for such a technique can warp into a “grass is greener” mentality that wastes more time than it saves. At the end of the day, you have to be content with finding a technique that’s “good enough” — if it works, accept that it works and stop looking for something better. But if you haven’t found one yet, then here are a few that you may not know about. Hopefully you won’t have to look any further. 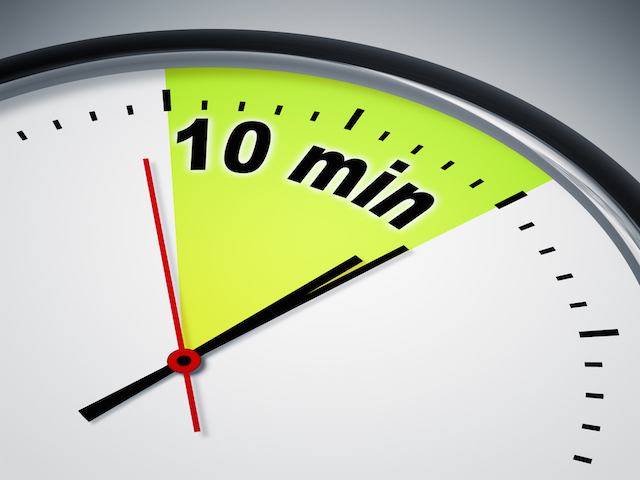 If there’s one “rule” that has contributed most to my own productivity, it would have to be the 10-Minute Rule. To be clear, there are actually two different 10-Minute Rules floating around on the internet — I only use one of them, but I’ll cover both of them here for your convenience. The first variation is for when you’re procrastinating on a task: you only need to commit 10 minutes of effort to the task, then you can stop if you want. This rule works because 10 minutes is usually enough time for you to get “into the zone.” If you can make it through the initial 10 minutes, chances are you’ll realize the task isn’t as bad as you thought and you’ll be happy to keep going. The other variation is for when you have too many tasks and feel overwhelmed: every task on your to-do list should take no longer than 10 minutes to complete. If a task doesn’t adhere to this rule, you need to break it down into smaller tasks that do fit the rule. This rule works because it puts you in the right mindset for proper goal setting. If you know that a task won’t take longer than 10 minutes, you won’t feel overwhelmed by it — it becomes easier to muster up the energy to sit down and tackle it. Psychologically, it’s much easier to tackle six 10-minute tasks than one 60-minute task. Start working, but first record your start time. Stop when you need a break, and record your stop time. If you want, you can note whether you were interrupted or not. Set a timer and take a break. Instead of strictly alternating between, say, 20 minutes of work and 10 minutes of rest, the Flowtime technique allows you to work for as long as your brain wants. In the morning, you might be able to pull off 90 minutes of work before your first rest, whereas in the afternoon you might need to switch between 10 minutes of work and 10 minutes of rest. This is also a great way to discover what time of day you’re most productive, which is good to know so you can schedule your days in such a way that maximizes your efficiency. Most productivity tips and systems suffer a glaring flaw: they focus too much on getting organized not enough on getting things done. This is where the Autofocus method shines. It’s designed against the pop-science productivity advice we hear every day — you know, those tips that sound good but are actually detrimental to your workflow and progress. It does away with rigidity and overhead. It promotes real progress. Now, go down the list of old tasks one by one. If you can work on the current task now, start working. Once you finish it, cross it off. In case it’s a recurring task, write it on the Recurring list. Should you not finish it, write it on the Unfinished list. If you get to the end of the old tasks, ignore the new tasks and go back to the top and repeat. Once you reach the point where you can’t complete any of the old tasks right now, you can start on the new tasks. When you can’t complete any of the new tasks, move to the Recurring list in the same way, then the Unfinished list. 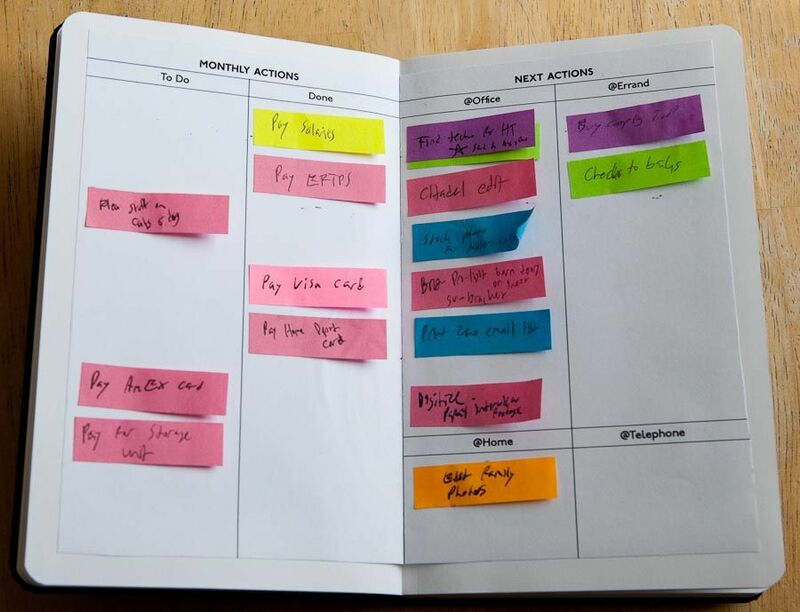 It becomes even easier if you use a list-based task manager like Trello. It’s a free tool to manage any kind of project. The key to the Autofocus method is that you only focus on one task at a time — the system simply makes it easy to know which task is next, hence the name “autofocus.” There is absolutely no prioritization of tasks in this system. You just cycle through and complete tasks. The Stoplight method has a similar feel to the Autofocus method above, but its greatest benefit is its more simplified process. Whereas the complexity of the Autofocus method makes it useful for big projects with lots of tasks, the Stoplight method is better when you only have a few tasks every day. Red list for tasks that require immediate attention. Yellow list for tasks that you need to complete within two days. Green list for all other less-urgent or macro-oriented tasks. Only focus on the red list. When the red list is empty, move onto the yellow list. When that’s empty, move onto green. At the start of every day, shift tasks from green to yellow or yellow to red as necessary. This is obviously a lot easier if you use digital lists. This last technique is a bit unusual compared to the ones above. It doesn’t demand more of you. Rather, it’s designed to make productivity more enjoyable. I’m talking about maintaining a Productivity Journal. At the end of every day, take five minutes to record all of the things you accomplished. On a good day, maybe you completed 15 tasks. On a bad day, maybe you only finished one or none. All that matters is that you record honestly. The benefits are two-fold. First, it takes away the stress of deadlines and the guilt of an unchanged to-do list. Second, it provides a history of your productivity. When you feel lost or unmotivated, you can look back and see that productive days are possible for you, which can even boost confidence. A productivity system can only do so much. Like a personal trainer, it can help you stay motivated and it can set you up for success, but it can never do the actual work for you. And even after finding a system that works, your productivity could be harmed by other factors. Next Post Digital Branding in the Digital Age. SlashVid makes video content management easy. SlasVid allows you to scale up your live offering, adapt it to your business model and adjust as the market and consumer demands change. No.106, 4th Avenue Sundar Nagar, B/H Olympia Tech Park, Ekkatuthangal, Guindy, Chennai -600 032.